The second annual Free Box giveaway is going so well, we might be forced out of business before the end of its opening night! And we had another collection of good stuff (obviously). Shoppers are carrying it away before I can get back into the house to sneak a picture through the blinds! 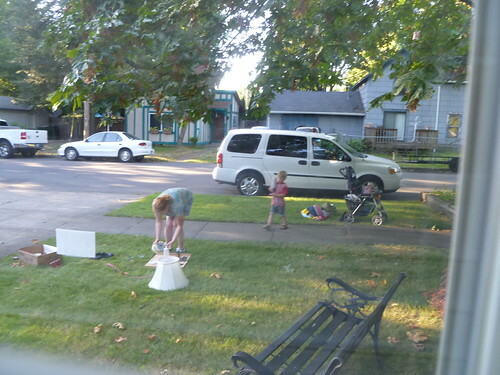 One little boy who was walking by to the Old Fashioned Festival, which is what draws the town of Newberg to our neighborhood every year, came right up as I was putting out yet another box and asked, “Is this really free?” Yes! He quickly chose an unopened package of large cupcake baking cups and went happily on his way. This entry was posted in 514, in the neighborhood. Bookmark the permalink.